With Readly you can read Calibre Luxury and thousands of other magazines on your tablet and smartphone. Get access to all with just one subscription. New releases and back issues – all included. 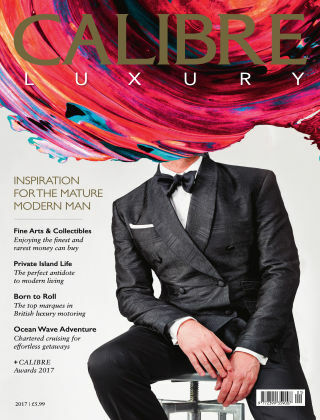 CALIBRE Luxury is the luxury lifestyle annual for the mature, modern man. This glossy, high quality publication is packed full of the best and brightest luxury inspirations and products, from bespoke holiday and adventure experiences to the finest in wristwear, tailoring and motoring. So, board your yacht, don your finest suit and join us to delve into the world of modern luxury for men.